Level switches utilizing the conductivity principle are applicable to liquids with sufficient conductivity to complete an electrical circuit. For detecting liquid level, probes of specific lengths are immersed into the subject tank, vessel, or pipeline. These probes, and in some cases a conductive tank wall, serve as contacts of an electric circuit. Multiple probes of differing lengths can be extended into a tank or pipeline and are monitored by a single controller. 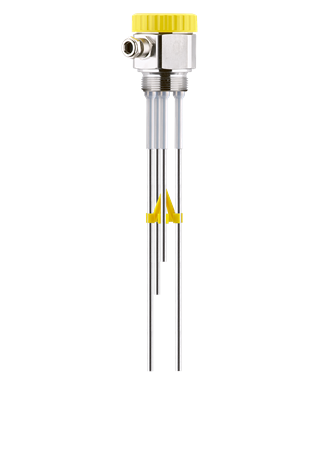 Each probe length extends to the level to be detected. As the vessel fills or empties, electrical conductivity between the tank wall (or the reference probe) and the level measurement probes will change due to the liquid media reducing or increasing the resistance of a conductive path between the monitored points. The established connections will be detected by the controller, which activates a relay providing an output signal. 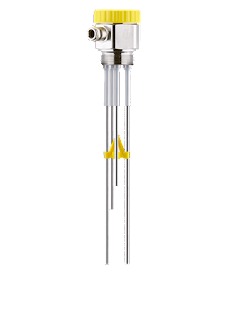 Conductive level switches provide a simple, robust, and maintenance free solution to many level measurement challenges. Complete level measurement systems are available in numerous configurations to accommodate a wide range of application and installation details. Immersion probes are available in several materials to provide compatibility with appropriate liquid media. Share your level measurement and control challenges with process measurement specialists and get their input for the best solution for your application. Conductive Level Switches for Industrial Process Control from Classic Controls, Inc.